VapeOnly Three-port E-Cigarette Stand Base Holder can work with eGo/eGo-T/eGo-C/eGo-C Twist battery with the capicity including 1000mAh or diameter less than 15mm. 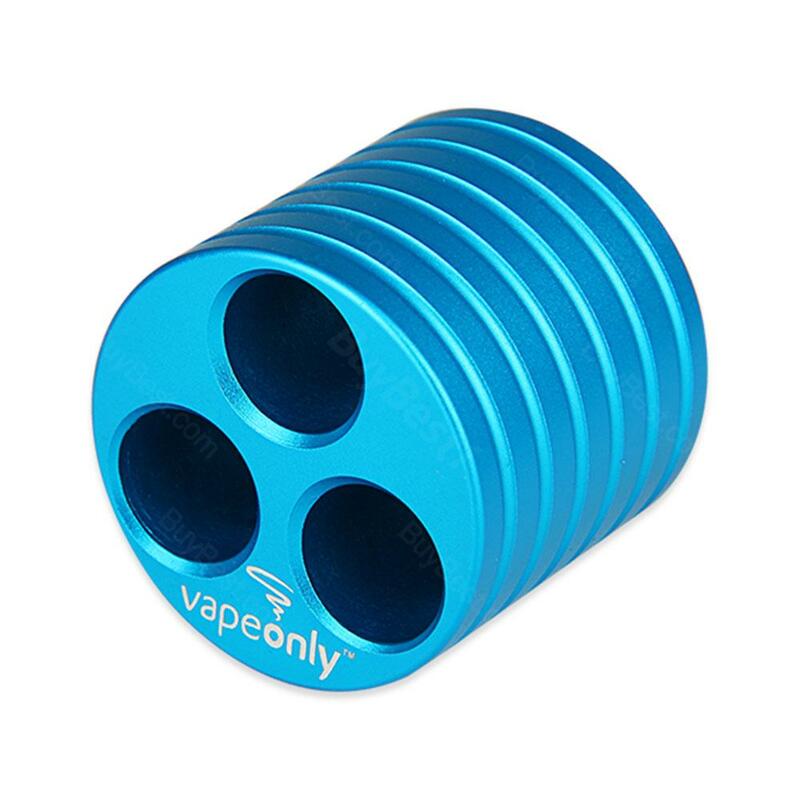 VapeOnly Three-port Cylinder E-Cigarette Stand Base/ Holder, can work with eGo/eGo-T/eGo-C/eGo-C Twist battery with the capicity including 1000mAh, 5 colors. • VapeOnly Three-port E-Cigarette Holder can work with eGo/eGo-T/eGo-C/eGo-C Twist battery with the capacity within (includes) 1000mAh. • This holder can work with battery which diameter less than 15mm. • It has three holes and can hold three batteries at the same time.